Formerly one half of the reclusive Wachowski Brothers, the writers and directors behind cult hits, The Matrix Trilogy and V For Vendetta, Lana Wachowski decided to come out to the world as transgender as she worked on the latest Wachowski movie, an adaptation of David Mitchell’s literary epic, Cloud Atlas. Her decision is intricately linked to the book’s underlying themes, says Brian Finnegan. During her sophomore year at High School, Lana Wachowski made a decision to commit suicide. One evening, after an extra-curricular drama class, she went to her local Burger King and wrote a suicide note. Then she walked to the station where she usually got the train home. She waited alone on the platform for the A Train, which she knew would not stop as it sped through the station. Lana told this story in a speech last October, when accepting a Human Rights Campaign (HRC) Visibility Award. The award was given to her for being the first Hollywood director to come out as transgender. Lana was formerly known as Larry, one half of the Wachowski Brothers, who came to cult global prominence with the film The Matrix in 1999. Famously, as The Matrix Trilogy evolved into one of the biggest grossing box office franchises of all time, the Wachowski’s eschewed public appearances and media interviews, preferring to stay anonymous, not because of Larry’s gender identity, but because they both became “acutely aware of the preciousness of anonymity”, which allowed them access to an “egalitarian invisibility that neither of us was willing to give up”. 12 years down the line, in anticipation of their adaptation of David Mitchell’s sprawling literary bestseller, Cloud Atlas, the Wachowski’s reversed this decision and gave The New Yorker magazine an access all areas invitation, which resulted in Lana coming out on the global stage. In her HRC speech, Lana referred to an epiphany she had during a meeting with her brother and their co-director on Cloud Atlas, Tom Tykwer, trying to figure out what to do when Tom Hanks became unavailable to shoot a promo for the film, in which he plays several different parts. In the moment, Lana says that her whole life flashed before her eyes. Lana, who had been out for ten years to her family, understood the time had come for her to tell the world. “We’re giving up anonymity for personal reasons, for the responsibility I feel to the LGBT community,” she subsequently said. David Mitchell’s original novel has a theme of personal responsibility at its heart. 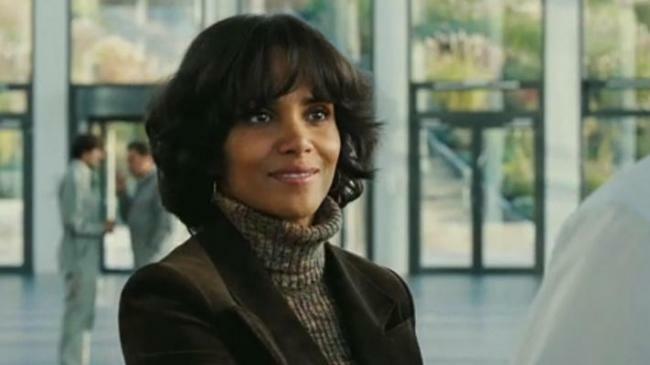 The character Lana was speaking about is Luisa Rey (played by Halle Berry in the film). She says her line in the knowledge that telling the truth will likely lead to her own death, and the message that underpins both Mitchell’s book and the Wachowski’s adaptation of it, is about the responsibilities human beings have towards one another. It is perhaps no coincidence that Lana’s social conscience in terms of her gender identity began to emerge while working on Cloud Atlas. A quick look at the Wachowski’s output gives a trajectory towards her coming out. 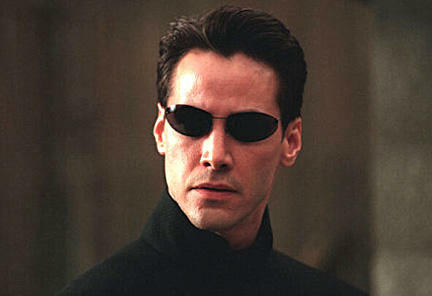 “It seems that you’ve been living two lives,” Agent Smith says to Orpheus in The Matrix. It’s a film about a man is searching for a way to fuse the world he lives in, which is entirely planted in his brain by machines, with the real world. Orpheus (Keanu Reeves) constantly finds himself in between, never part of one world or the other, in search of the oracle, which will reveal to him what his destiny is. Similarly Lana told The New Yorker a story of finding herself in a new Catholic School as a child, where girls were divided from boys in two lines. She found herself between those lines, not belonging in either, and not understanding why. After The Matrix Trilogy, the Wachowski’s turned their attention to writing a script for and co-producing an adaptation of the Alan Moore graphic novel V For Vendetta. Another dystopian film, the original inspiration for Moore’s novel came from the introduction of Section 28, which banned the “promotion of homosexuality” by local councils in Margaret Thatcher’s Britian. It is about the oppression of diversity, with a specific reference to brutal discrimination against sexual minorities. 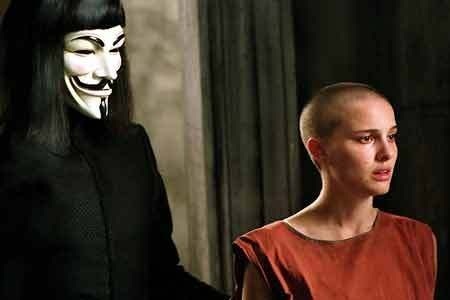 Humanity triumphs in the Wachowski’s dark film adaptation of V For Vendetta, because its hero opens society’s eyes to the price to be paid for buying into homogeneity. 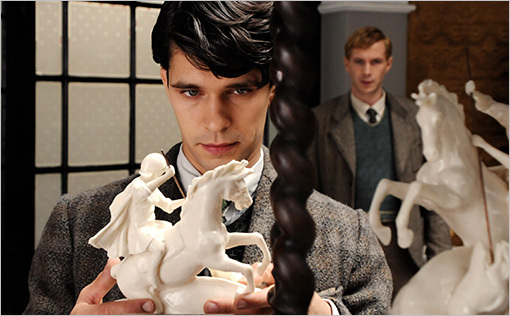 “To deny our own impulses is to deny the very thing that makes us human,” the character Robert Frobisher (Ben Wishaw) says in the Wachowski’s version of Cloud Atlas. Mitchell’s original novel tells multiple stories, distributed over centuries and encompasses several genres. Each story has a central character who somehow links to the central characters from the other stories, and in the film version the same actors play several roles, providing extra underpinning to the linkage. Frobisher, is a feckless but talented, bisexual English composer of the Cloud Atlas Suite. In another story, set 30 years later, we meet his first love, Rufus Sixsmith (James D’Arcy). As theirs and other’s stories progress, the film becomes a treatise on humanity, on how a simple good deed can reverberate through history. The man in the 1970s glasses on the train station platform of Lana’s youth is part of the Cloud Atlas equation. “Every person you meet has the potential to have a major impact on the direction of your life,” Lana said in her HRC speech last October. With her decision, no only to to come out so publicly, but to address the complex politics of gender and her discomfort with a “binary gender narrative”, she wishes to have an impact on many lives.